Marketing must take the lead in patient experience. Marianne Aiello recently wrote an article for Health Leaders Media about how to improve patient experience. Aiello makes some excellent points. The article is republished here in its entirety. Picture this. One day while watching TV you see an engaging hospital commercial, depicting smiling providers who whisk a patient through the continuum of care. The end of the spot directs you to a website, which has a fresh design and smartly describes the organization’s many service lines and resources. A few weeks down the line you need to schedule an elective procedure, and, based on your positive memories of the ad and website, you choose this hospital. But upon arrival, the parking lot is confusing. When you finally stumble across the waiting room, the desk worker passes you some forms to fill out without raising his head. Your procedure goes well, but afterward it’s unclear how to schedule a follow-up. Unfortunately, scenarios like this one happen all too often at well-meaning hospitals. Often the problem lies in the marketing department’s detachment from operations, which—like it or not—controls the patient experience. For the marketing chief to be considered a key leader within the hospital hierarchy, marketers must bridge this gap and take full responsibility for the patient experience. 1. Align promise with experience. The positive hospital ad/negative hospital experience described above showcases the hypothetical organization’s inability to align its brand promise with its brand experience. In order to merge the promise and the experience into a differentiated brand, Adamson suggests thinking of the two as overlapping circles. It is ultimately the marketing department’s duty to not only make the area of intersection larger, but to eventually create concentric circles. To do this, marketers must integrate operations and communications. 2. Start with first point of contact. Naturally, aligning the brand promise with its experience is a daunting task. A good way to start is to focus on the patient’s first physical point of contact with your organization. The patient’s perception of your parking lot, lobby, and front-line desk staff make a lasting impression on their overall experience. This is why many organizations choose to employ valets and greeters; to construct warm, spacious entryways; and to extensively train staff in customer service. 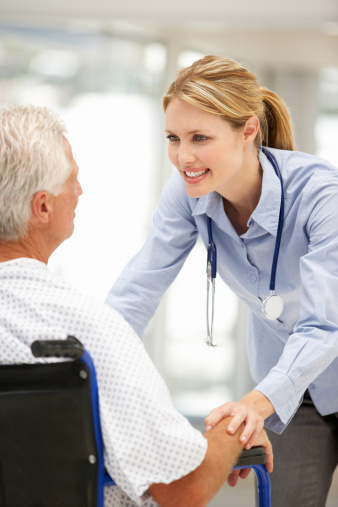 Once the patient enters the treatment phase of their visit, clinical care takes precedence. But there is always room to craft a positive patient experience. Staff attitudes, from disengaged desk workers to pressed-for-time caregivers, has a profound impact on the patient experience. The first step toward correcting any unsavory behaviors is education. Many staff may not realize that the way they are acting has such an impact on the patient’s satisfaction and perception of their care. Furthermore, it’s important to report individual successes and overall progress in improving the patient experience to staff members, as well as patients and the hospital community. 4. Improve the patient experience. Providing patients with friendly, uncomplicated, and practical information about what to expect from their hospital stay will help the patients feel more at ease even before they step foot in your facility. This virtual or paper first point of contact can be just as important in making a positive impression as the physical first point of contact. It’s also important to “examine and improve all aspects of communications with patients from initial contact with the physician referral line through episodes of care to interactions around insurance and billing,” DeStanto says. Much like how the patient experience can begin before the patient enters the hospital grounds, it can continue long after the patient leaves. In order to stay competitive in today’s healthcare environment, marketers must be responsible for much more than advertising and public relations. Not only must marketers communicate the brand, they must create and sustain the brand. “If marketing is ever to evolve into the important strategic discipline in healthcare that it is in other industries, then the marketing department must take the lead role in orchestrating the patient experience,” Adamson says. Hospital customer satisfaction levels declined in the past year, joining the energy sector as the only two industries whose scores declined. And this in spite of a strong emphasis on patient satisfaction by hospital CEOs. Times have been tough in this economy. For almost everyone. And it’s true for hospitals as well. It has led to implementation of various cost saving initiatives in most hospitals. And in some, it has necessitated layoffs. It appears the result has also caused a decline in patient satisfaction. According to American Consumer Satisfaction Index, which measures consumer satisfaction for ten economic sectors, hospitals’ satisfaction scores fell 5 % over the past year. Only the energy sector joined hospitals with a decline. It’s clear why there was a decline in the energy sector but both surprising and troubling there was a decline with hospitals. The results were reported by Philip Betbeze in HealthLeaders Media. Overall hospital satisfaction dropped 5% with inpatient satisfaction recording the largest decrease. This is especially interesting when more and more hospital leaders are stating they are placing a stronger emphasis on patient satisfaction. In fact, Betbeze reports that in the 2010 HelathLeaders Media Industry Survey, many leaders are making patient satisfaction their number priority. Over 38% selected patient satisfaction as their top priority and it was near the top in most of the other surveys. Hopefully, this increased emphasis on patient satisfaction will turn the tide and lead to significant increases in future surveys. It needs to. Declining patient satisfaction will lead to trouble in many other ways and will certainly negatively impact our hospitals’ brands. When that happens there are long-term effects. 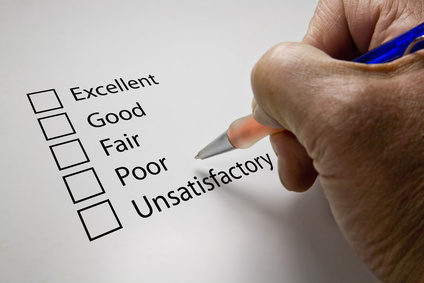 It is certainly disheartening to see satisfaction scores decrease while management makes it a top priority. Hopefully it means there is not just lip service to the problem but the results just haven’t been fully manifested and thus not appearing in the survey results yet. It is certainly a necessity to stop the decline and improve satisfaction scores. So much depends on it. There are many things in healthcare that management cannot control but a patient-centered culture and a commitment to patient satisfaction is one that can be impacted. It must be! Young women should be a primary focus for hospitals wanting to grow market share. Women have always been the primary target for healthcare advertising. They are, after all, the primary decision makers for a family’s healthcare including even their husband’s. But recently released statistics prove that it’s even more important to pay attention to females and particularly younger females. Philip Betbeze writing for HealthLeaders Media cited some very interesting statistics from HCUP Facts and Figures: Statistics on Hospital-Based Care in the United States, 2007. When combined with stays for newborn infants, these hospitalizations account for one-quarter of all stays. These are pretty astounding numbers. They indicate that hospitals and the marketing messages of hospitals should be heavily favored toward young females. The fact that a full one-fourth of hospital stays are related to this demographic should make every hospital and hospital marketer take notice. Infant hospitalizations increased to 4.7 million in 2007, a 21% increase. If a hospital wants to take advantage of increasing trends and wants to grow market share, heavy attention should be given to younger women and their healthcare needs. And it’s not just about targeting the marketing messages to this audience; it’s also about meeting their healthcare needs. Confirms what we have known all along – women are the ones in charge.